A kitchen or bathroom remodel is a great way to improve the value of your home while also getting more enjoyment out of the spaces you use most. A remodeling project allows you to have all the features you’ve always wanted without having to sell your existing home and move. And to help bring your vision to life, trust the bathroom and kitchen remodeling experts at Eagerton Plumbing in Jacksonville. Contact Eagerton Plumbing today to schedule your free remodeling design consultation. Eagerton Plumbing has more than five decades of experience helping Jacksonville homeowners turn their kitchen and bathroom dreams into a reality. From the initial design to the final installation and clean-up, Eagerton Plumbing is there every step of the way to make sure your remodeling project is a success. Your water heater is one of the largest energy consumers in your home. As water heaters age, they become less energy efficient. They also become more prone to failure and have difficulty supplying a household’s hot water needs. The longer you wait to replace an old, inefficient water heater, the more you’ll spend on energy bills and water heater repairs. The key is to know when the time is right to replace your water heater, and we don’t mean waiting until it fails completely. If you recognize any of the following signs, contact a water heater replacement company in Jacksonville to explore your options for a new water heater. You can tell a lot about the condition of your water heater by the water that comes out of the hot faucet. If the water appears rusty or has a lot of sediment, it could signal upcoming water heater failure. Another sign of potential failure is hot water with a metallic taste or unusual odor. If you are concerned about the quality of your hot water, schedule a water heater inspection today. It’s normal for a tank-style water heater to run out of hot water, but it should do so on a consistent basis. In other words, if your household is running out of hot water faster than normal, this could be an indication of a serious water heater issue. If you have a busy household, consider a tankless water heater, which provides unlimited on-demand hot water. 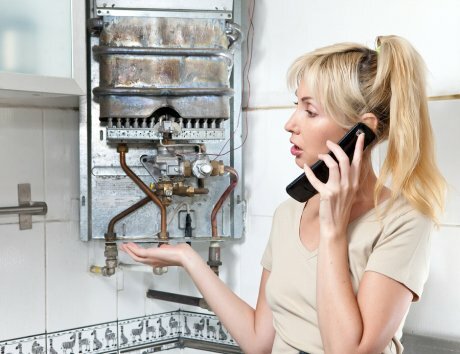 Contact a Jacksonville water heater repair company immediately if you see leaking water around the appliance where none has leaked before. Leaking indicates an internal failure in the water heater. Disconnect the electricity or turn off the gas to the unit and let the water cool down before attempting to remove and replace the water heater.